Fishing enthusiasts will fall for this striking 18kt white gold men's pendant hook, line and sinker! 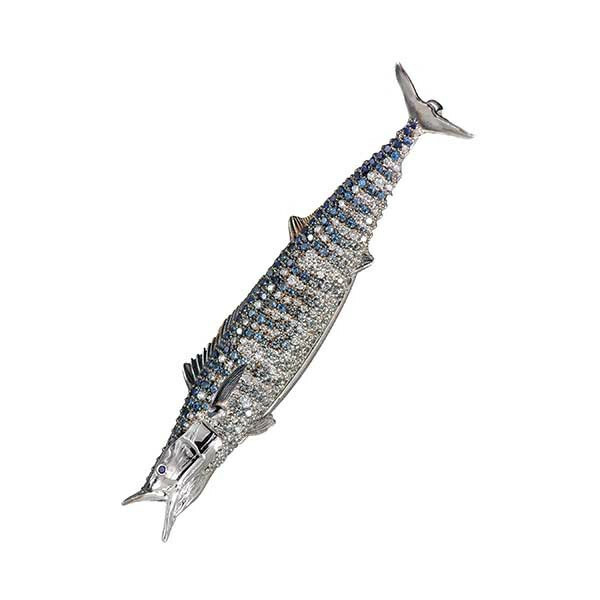 The 2" long piece, part of Robert Pelliccia's See Life collection, features a wahoo with blue and grey sapphires. The pendant is a designer exclusive.